After a car accident, you will need to speak with the other driver involved. What you say next could make or break your case. It is important that you are aware of the pitfalls for some of the most common responses. 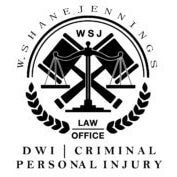 Here are 5 things, from The Law Office of W. Shane Jennings, you should never say after a car accident in New Mexico. After a car crash, you are full of adrenaline and disoriented and unable to assess the pain you are in. It is very common for injuries not to surface until hours, sometimes days later. Therefore, stating how you feel at the time can work outside of your best interest. Saying “I feel fine” could lead to questions when you file a personal injury claim. You should never say anything that will make light of your condition. Car accidents are scary and cause many inconveniences for both parties. It is human nature to want to apologize, even if it wasn’t your fault. However, the other party can be interpreted that as an admission of fault. It is best that you say little as possible and let the evidence speak for you. Otherwise, you could forfeit your personal injury claim and pay out of pocket for the damages you suffer. It is important not to accuse yourself or the other party for the auto accident. There could have been other factors involved in causing the auto accident. Not only can accusations cause a heated exchange of words, it could even lead to physical violence adding more tension to an already tense situation. It is best to allow law enforcement to do their job in conjunction with your insurance company to determine who was at fault. You should be as exact as possible when talking with law enforcement about the facts of the accident. However, you should avoid speculation about the events. This could make the case more difficult to resolve. Speculation such as vehicle speed and driver intent can cause inconsistencies during the investigation that could damage your case.